Amundi and Pioneer Investments, Aberdeen and Standard Life Investments, Janus Capital and Henderson Global Investors, these asset management weddings made headlines, among others, over the last couple of years. Another could have occurred last Autumn between AXA IM and Natixis AM. But in October, the firm’s chief executive officer Andrea Rossi dismissed rumours of merger talks with Natixis AM in a mail to AXA IM’s staff, adding that parent company, French insurer AXA, continues to view its asset management branch as a strategic asset. However, Rossi admitted in his letter that amid the context of a consolidation in the asset management market, AXA had been approached by several parties to consider a possible transaction. The failed union between AXA IM and Natixis AM suggests that the era of weddings between asset management giants looks far from over and that they have still cash to splash for new acquisitions. InvestmentEurope has gathered views of French M&A experts on the current consolidation in the industry and what could further happen, in particular in France. 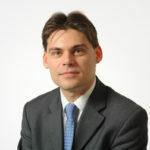 The European asset management industry looks fragmented currently, and a number of players are looking into increasing their size in terms of assets, seeking economies of scale and higher profitability, says Mathieu Caquineau (pictured left), senior manager research analyst at Morningstar, for whom a merger is rarely good news. “At Morningstar, we believe mergers between asset managers rarely benefit end investors. A period of rumours always precedes a merger and is likely to impact the asset managers targeted by the operation. Hence the investment teams of these asset managers cannot work in a serene environment as rumours of M&A spark concerns around the future of jobs. “Thereafter when the merger between two asset managers is finally completed, we sometimes see a clash between investment cultures, further leading to departures in the fund management teams. The search for synergies through mergers adds to the instability of the teams. Lastly, the streamlining of fund ranges is a common denominator of mergers between asset managers, but that inevitably harms the funds’ shareholders,” assesses Caquineau. 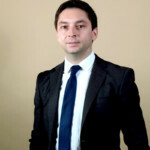 For Antoine Dupont-Madinier (pictured left), senior advisor at PL Advisors in London, larger transactions can be explained by a consolidation phenomenon that has seemed to crystallise over the past 18 months and in response to the continued shift to passive, pressure on revenues and increasing regulatory costs. PL Advisors’ senior advisor highlights that the trend is on not only in the traditional asset management space but also in the alternative investment field. “2017 has been a very active year for the asset management M&A market. Specific sub-segments have been in favour, particularly private equity, private debt and real estate managers, similar to an enthusiasm that was observed for hedge funds and liquid alternative strategies a few years ago,” he says. “Valuation levels for completed transactions in that space are difficult to assess from an outside perspective given the characteristics of these businesses and the fact that deals are often structured with a deferred consideration. Management fees are typically valued as a multiple of EBITDA whilst future carry streams are valued at relatively lower multiples,” Dupont-Madinier adds. 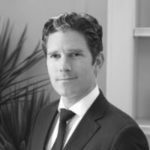 Nicolas Raynaud, senior manager financial services at consultant Sia Partners, pinpoints that the establishment of very large and global asset management players through M&A is a trend foreseen for years. He suggests this mostly takes place in Europe because the underlying willingness of many European asset managers to find ways to compete with their US peers. Raynaud shares also the view that regulatory tightening is another component leading to changes in managers’ business models. If completed, a Natixis AM-AXA IM merger would have given birth to a second €1trn French player after Amundi. According to Sia Partners’ Raynaud, acquiring AXA IM would have meant a change in dimension for Natixis GAM, that would have gone together with an unavoidable rebranding and a repositioning of AXA IM. He says such an acquisition would make sense given the ambitious growth plans set by Natixis GAM which, he believes, can easily integrate a player like AXA IM. “The recent appointment of Christophe Lanne as Natixis’ chief transformation officer asset management and private banking is a clear signal that changes are underway at Natixis. The group has made digital transformation a core pillar in its development. Natixis is very active in the acquisition of fintechs and robo-advisory services providers,” notes Raynaud. Mara Dobrescu, fund analyst within Morningstar’s EMEA fund research team, highlights Natixis GAM has faced several changes in its leadership in recent years. “There is clearly a willingness demonstrated by the group to revitalise its structure but it remains too soon to assess how NGAM will be reshaped in the end,” she says. Dobrescu (pictured left) recalls that NGAM runs a very different approach to M&A, as its primary goal so far is to fill a gap in its fund offering by purchasing boutiques and then to giving them carte blanche following their acquisition. Its affiliates remain autonomous and independent in their investment processes while their teams have generally been stable. A neutral rating is kept on NGAM by Morningstar because it assesses the quality of the group’s affiliates vary considerably from one to another, whereas a positive rating has been issued on AXA IM, Dobrescu adds. “A number of components demonstrate an alignment of the company with the investors’ best interests. The manager focuses on core expertises and tends to avoid launching funds that follow the industry’s latest trends. Even though AXA IM is considered a generalist, its fund range remains, in our view, higher quality than that of Natixis AM. “Moreover, AXA IM’s fund management teams have proven stable in time as most of the firm’s portfolio managers have been running their funds for more than five years. 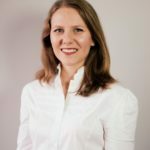 In addition, AXA IM has acted responsibly by closing some of its funds to new subscriptions when their capacity was reached, in order to preserve the assets of the funds’ existing shareholders as well as the management of the strategies,” she explains, adding that if AXA seeks to sell AB, there is no clue yet of a similar operation regarding AXA IM. He also considers that some other French asset managers might be interested in taking part in the ongoing M&A activity for regulatory reasons. “Mifid II is an additional regulation whose cost and reporting requirements could hammer much smaller asset managers. This could foster M&A activity in the French asset management industry, which would concern primarily tier-3 asset managers that do not have a critical size and have fewer than 50 employees. “Larger groups like La Française AM and La Banque Postale AM may seize opportunities there with the aim of expanding their expertise to other asset classes and growing assets,” Raynaud says. He adds that it is not in the DNA of French independent managers such as Comgest, Mandarine Gestion or Carmignac to participate in the ongoing M&A activity, but this might change in the near future. An major operation that is expected to close in the first quarter of 2018 remains the acquisition by La Financière de l’Echiquier (LFDE) of Primonial’s asset management activities, AltaRocca Asset Management and Stamina Asset Management. In return, Primonial would hold a 40% stake in LFDE. At a local level, an overall component may speed up the consolidation trend: operating losses. The French asset management industry has faced an 8.1% year-on-year slump in operating profit to €2.84bn at the end of 2016 from €3.09bn as of the end of December 2015, the French financial market regulator AMF reported. The decline was seen as the result of increasing operating costs (+1.3% YoY, +18.9% since 2012) and a drop in operating revenue (-0.8% YoY). Some 22.7% of French asset management companies have faced operating losses, which totalled €102m in 2016 (against €87m in 2015). This share has not yet reached levels seen after the global financial crisis of 2008 (25.3% in 2011). AMF underlined that disparities were visible between asset managers facing operating losses. More than three in four companies (76.1%) that reported thus are entrepreneurial boutiques and 40.9% had been in existence for less than four years. Also, even if the financial result of asset managers has risen by 148.4% over the last three years to €693m in 2016, the annual global turnover of French asset management companies has declined for the first time since 2012, totalling €13.81bn as of 31 December 2016. So far in 2018, the sole M&A move was the full acquisition of Italian asset manager Kairos by Swiss financial group Julius Baer. Italy has seen an interesting move at the end of 2017 with the purchase of Aletti Gestielle by Anima from Banco BPM and a number of distribution partnerships were tied throughout the year between asset management and Italian banks. 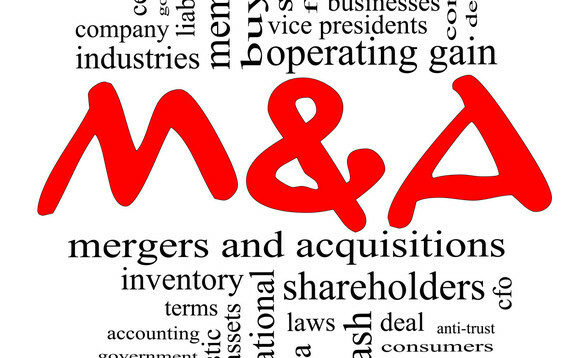 From the local AM industry could come new M&A developments. Azimut, linked to merger talks in recent years, is not for sale, told the group’s deputy administrator Sergio Albarelli to Milano Finanza. Albarelli added that the group does not see M&A opportunities in Italy currently but that it is likely to find some outside the country. On a more global note, PL Advisors’ Dupont-Madinier foresees a continued interest in private markets managers (private equity, private debt, real estate, infrastructure, real assets) from both consolidators and minority stake buyers. “Traditional managers facing continued pressure on margins will likely consider discussions around potential mergers but the ideal conditions for these to happen remain difficult to achieve,” he concludes.